With the holidays coming up, the weekends (and most weekdays) are usually filled with long trips to the store trying to find that perfect gift. 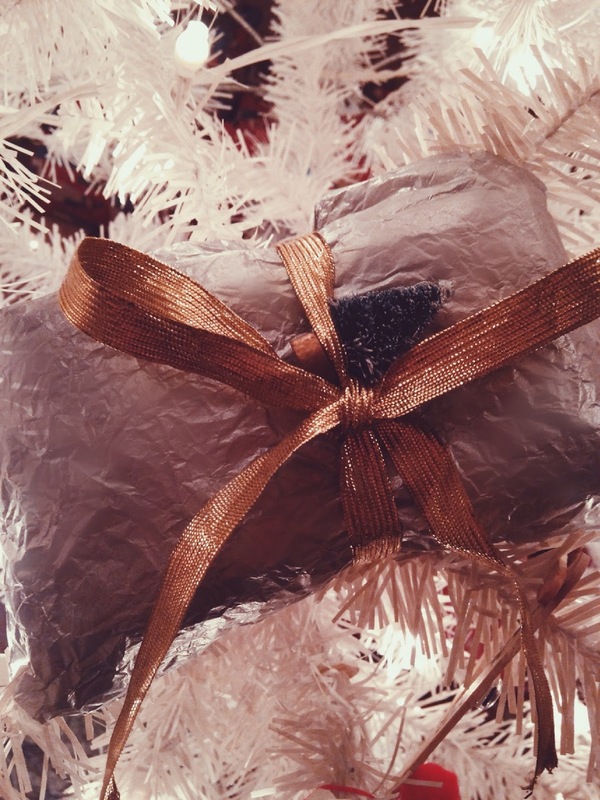 Instead of letting the mall madness and holiday rush stress you out, try taking a weekend to just relax while you gift wrap- I find it calming to drink some tea (or wine;) and watch TV while I wrap presents. 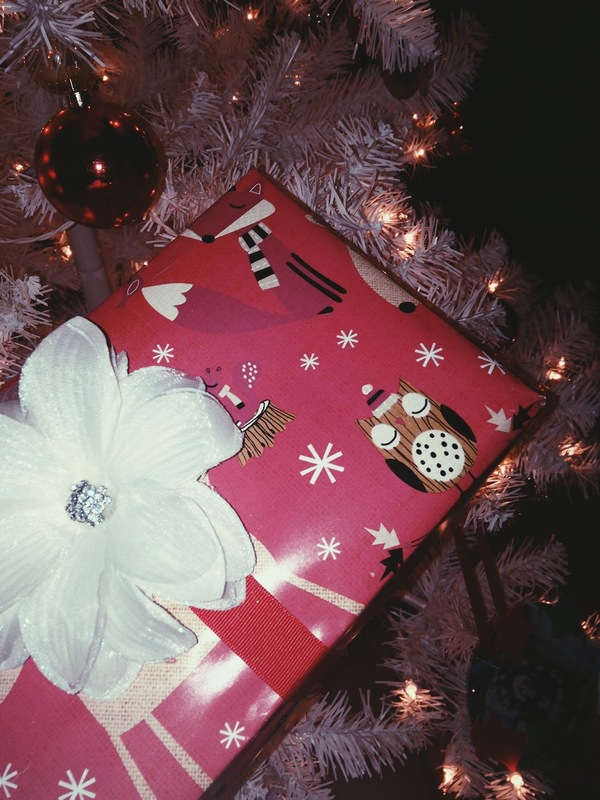 Here are some simple and cute gift wrap ideas that won’t stress you out! 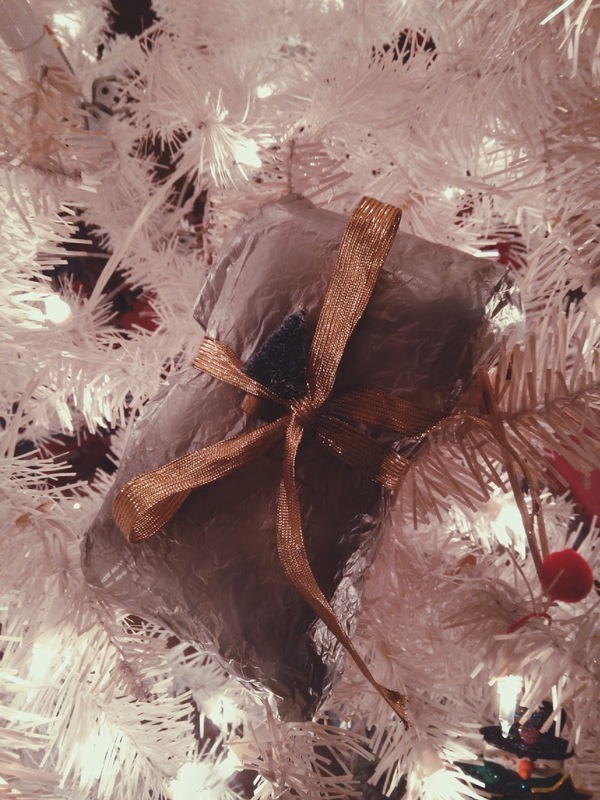 Use a plain ribbon on a fun wrapping paper. To make the gift pop, I added a flower hair clip/brooch to the ribbon- an added gift as well 😉 You can usually find them pretty cheap at a craft store (Another great idea for a bridal shower gift or even baby girl gift). If you want to ditch the wrapping paper, just put the clip/brooch on a gift bag to spice it up! I found some great heavy duty (and shiny) tissue paper and decided to use it as wrapping paper for smaller gifts. To make it festive, I added gold ribbon (Dollar Tree) and tucked a mini Christmas tree (Hobby Lobby) in the bow.